What’s the Story? 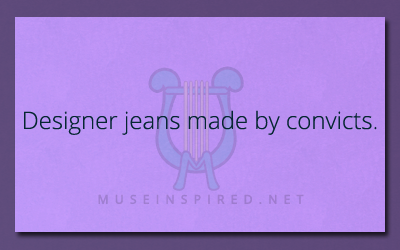 – Designer jeans made by convicts. Designer jeans made by convicts. What’s the story behind it? What's the Story - A loud booming noise and the screams of an old lady. What's the Story - The dream-catcher, the shadow, and the light house.